Employment of home health aides can be rocky at the very least, especially since federal law has no rules in place guaranteeing these employees a minimum wage. In fact, many aren’t paid overtime. Many home health aides transition to nursing homes where they are sure to work for a decent and steady wage. Home health aides can be essential for immobile patients or those wishing to maintain familiarity while they’re receive care. These aides are usually employed by an agency or are self-employed. Home health aides work long hours, often devoting their time to just one person for many hours, days, weeks, or months at a time. The work can be tedious, physically strenuous, and sometimes not that profitable. Paying home health aides a livable wage is crucial for improving the level of care people are receiving in the comfort of their own home. Some healthcare coverage policies do help pay for in-home assistance, further alleviating costs for people needing home care. Still, there are certain costs that aren’t fully covered, and knowing where you stand with your healthcare coverage is important if you’re investigating this care option for you or a loved one. 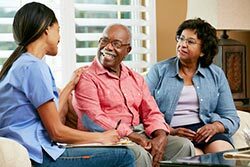 Working with an elder care attorney or similar professional who is knowledgeable in regards to healthcare coverage and insurance policies can help you in deciding whether or not you can qualify for a home health aide. Planning for long-term care means examining every single detail, which is a huge undertaking. If you’re planning to receive assistance at home, or you’re looking into employing a home health aide for your loved one, it’s advisable that you start asking the right questions to the right people. 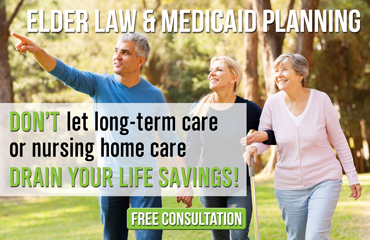 At The Elder Law Firm PC, we provide expert advice and guidance to help you develop a long-term care plan that is legally sound. We also provide free seminars every month to talk about Medicaid planning. Call (877) 933-7252 to learn more or to reserve your seat at this informative event.